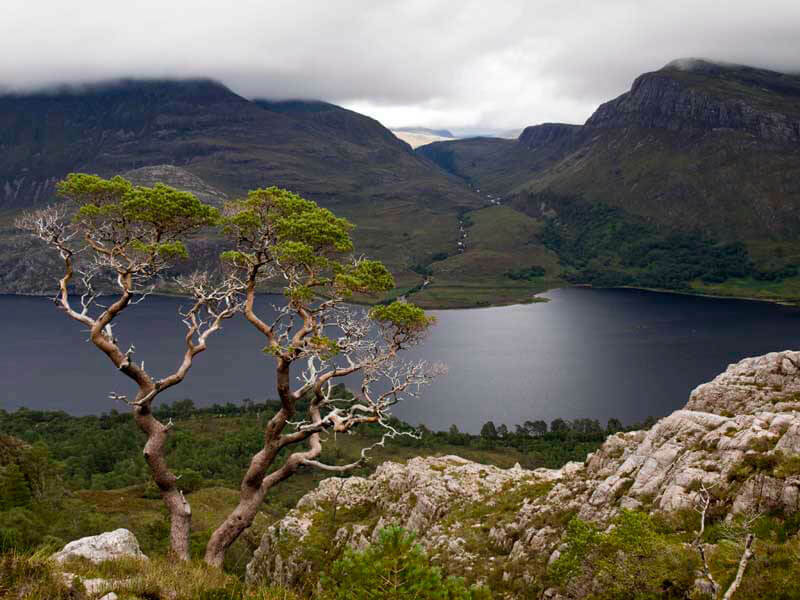 A sudden opening in the clouds illuminates a lone tree and a small outcrop overlooking Loch Marie in Wester Ross. The summit of Slioch (left) is still shrouded in mist at midday. [Handheld with 16 oz, mirrorless digital SLR camera (like this) with its stock zoom lens. ] This photo looks great enlarged to 14×19. Purpose: This article addresses the selection of a lightweight backpacking camera and photo gear. In particular, you will understand the tradeoffs of camera size and weight vs. image quality. The 16 ounce Sony a6000 with the right $200 prime lens (Sigma 30mm f2.8 DN), can produce image quality challenging the Canon 5D. Pictured is my full Sony a6000 backpacking kit: Sony a6000 Mirrorless Camera w (kit 16-50mm lens or alternate lens), Peak Designs CapturePRO (mounts to backpack shoulder strap), Peak Designs Micro Plate (mounts to camera bottom), Pedco Ultrapod II (small tripod), Sony NP-FW50 Battery (spare), Newer® Fish Bone quick release for tripod head. Lens alt/add’l Sony SEL35F18 35mm f/1.8 Prime Fixed Lens w hood (6.2) Fast, superb resolution, normal lens w image stabilization. Use dawn & dusk. Possibly w/o tripod! Lens alt/add’l Sigma 30mm f2.8 DN, w hood (5.7) Only $199! Superb resolution. Lightweight. Mount Peak Designs CapturePRO 110g 3.8 Take more photos! Fast access to camera! A recent photo shot in Dolly Sods Wildness with the 16 oz Sony a6000 mirrorless digital SLR camera and its stock zoom lens (listed in table above). If you don’t want to go into all the gory details at this point you can just jump to a discussion of the Lightweight backpacking cameras I use. While some point and shoot lightweight backpacking cameras may produce quite serviceable photos, don’t expect professional quality images from a camera with a sensor* the size of your little fingernail and a lens the size of a snap pea. It would be great if a 5 oz Point and Shoot (P/S) compact camera produced images close to the quality of images from a 3 ½ pound digital SLR (DSLR) camera and lens combination like a Canon 5D and 24-105mm f/4L IS lens. But camera sensor and lens size has significant impact on image quality. In summary: better image quality requires a larger sensor, which in turn requires a larger camera body and a larger lens, and ultimately a heavier camera. Since we can’t bypass laws of physics (sensor* and lens size), each backcountry photographer will need to find a satisfactory compromise between camera size/weight and image quality. * Sensor is the device in a digital camera that electronically captures the image. It performs the same function as film in old style film cameras. Alert! as a backpacker you are not well served by mainstream camera reviews like DPReview. That is, the 5 Most Important Features for a Backpacking Camera are quite different than those for a general use camera in mainstream reviews. Hear are the major differences. A P/S camera has a sensor 5% the size of the full-frame sensor of a camera like the Canon 5D. If each camera has the same number of pixels, then the pixels on the P/S camera will need to be 5% the size of the full-frame camera’s pixels in order to fit on the smaller sensor. So each P/S pixel can only gather 5% of the light of a full-frame sensor pixel—sometimes only a few photons per pixel (yes literally down to the photon level!). Without going into gritty detail, the close pixel spacing and limited light gathering ability of smaller sensors leads to less resolution/sharpness (for the same pixel count), less dynamic range (especially problems with clipped highlights, i.e. entirely white areas without detail), less color saturation, more noise, decreased ISO performance, and ultimately lower image quality. Lens size matters: A larger sensor requires a larger lens to cover the larger sensor area. In addition, there is a limit to how precisely one can shape a small lens (e.g. a P/S camera lens). Due to the immense popularity P/S cameras and digital video recorders, there have been astonishing advancements in the optical quality of small molded plastic lenses. Nonetheless, the best optical quality is still from precisely ground glass lenses. These are the lenses used for for mid-size-semi-pro-sensors (approx. 30-40% of 35mm coverage) to full frame sensors (100% of 35mm coverage). Larger lenses do cost a lot more. A top quality lens might cost between $800 to several thousand dollars. But there are bargains to be had with some gems in the $200 to $500 range (e.g.Sigma’s Art Series prime lenses). And even some quite good zoom kit lenses. Intended print size or use of images: If you intend to use the camera to produce 800 pixel snaps for your webpage, a good P/S camera should to the trick (although you will still a reduction in dynamic range, and color accuracy). But if you intend to frame large prints, you will be disappointed with the results from a P/S camera. To get sharp 16×20 or larger prints, with good color and tonality you’ll need at least a mid-size-semi-pro-sensor camera (approx. 30-40% of 35mm coverage) with a high quality lens—something like the Sony a6000. Finally, there are no takeovers for backpacking photography. A small sensor P/S camera is extremely unlikely to produce a high quality enlargement no matter how fabulous the shot. Photoshopping is unlikely to make significant improvements. Think hard before you commit to a smaller sensor camera. The Sony is in a class to itself for image quality for a light & compact camera. Some great, almost pocketable, 11 ounce “point and shoot” cameras produce superb images. The major disadvantage is high cost. Panasonic LUMIX DMC-LX100K 13MP with a huge 4/3 sensor (only uses a portion of the sensor, so gets about 1.5x more sensor area than the Sony) but is only 13 megapixels. You best option for serious backpacking photography is probably one of the inexpensive mirrorless crop format camera (APS, APC, μ4/3) like current Sony a6000. The best of these cameras approach full-format SLR picture quality in a light, compact camera with interchangeable lenses. By doing away with a SLR mirror and viewfinder, but retaining the larger sensor and lenses of an SLR, you significantly reduce weight and bulk but retain picture quality. The 16 ounce Sony a6000 with the right $200 prime lens (Sigma 30mm f2.8 DN), can produce image quality challenging the Canon 5D. Canon 5D challenger: The 16 ounce Sony a6000 (new model: Sony a6300) with the right $200 prime lens (Sigma 30mm f2.8 DN), can produce image quality challenging the Canon 5D. Above is the full Sony a6000 backpacking kit use: Peak Designs CapturePRO (mounts to backpack shoulder strap), Peak Designs Micro Plate (mounts to camera bottom), Pedco Ultrapod II (small tripod), Sony NP-FW50 Battery, and Newer Fish Bone quick release for tripod head. And I admit, even I am tempted from time to time to carry a Canon 5D into the backcountry for its superb resolution and image quality! Note: The full-format mirrorless Sony a7 is starting to make inroads into the serious professional photo market. Even here photographers are finally getting tired of the weight and bulk DSLRs. Sunrise Escalante River, Olympus E-30 and stock 14-42mm f/3.5-5.6 Zuiko ED Zoom lens. This photo looks great enlarged to 14×19. I just got done looking at the pictures my friend took with a compact P/S camera vs. the pictures I took a few weeks earlier in the same area with an Olympus DSLR with a 4/3 sensor (about nine times larger sensor). The P/S pictures are ”muddier“ and not nearly as sharp. The colors are muted and there is less tonal range. There are lots of pictures with detailess dark shadows or white (not blue) sky, sometimes both in the same shot. True, my friend still has a nice (and serviceable) photo record of her trip but most of these photos are not technically worthy of an 8×10 enlargement. Some of the shots, if they were taken with a better camera would make excellent enlargements worthy of framing. Bottom line—larger camera, larger sensor, better picture. 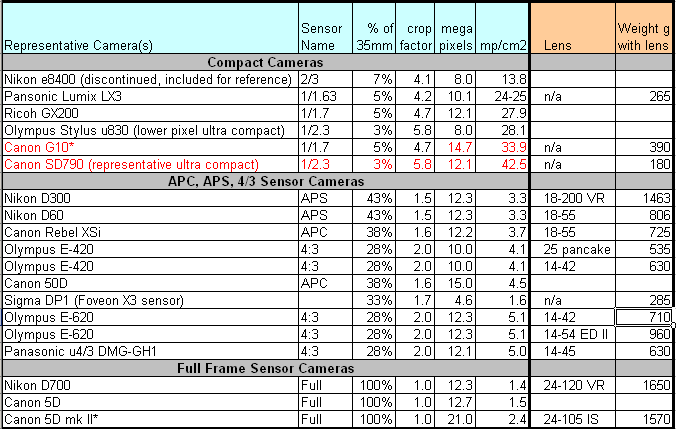 The following is a list of some cameras and their sensor sizes. As a rough estimate, the lower the pixel density (mp/cm2) the higher the image quality of the camera. Note: the example cameras in this are a bit dated, but the message is still good. Altho, now over 5 years later sensor technology has improved to the point where a current crop sensor camera like the Sony a6000 out-performs a 5-year-old, full-format DSLR. Even though it has a higher pixel density, the new Olympus E-620 has almost 1.0 EV more highlight range than the older E-520. But it still doesn’t have the RAW headroom (dynamic range) or high ISO performance of the best, mid-sized sensor APC/APC cameras (e.g. Nikon D300 or Canon Rebel XSi), let alone a full 35mm sized sensor camera (e.g Canon 5D mk2 or Nikon D700). The Canon PowerShot G10 performs considerably better against compact cameras than its extremely high 34 mp/cm2 pixel density might indicate. But its 10x higher pixel density cannot match the image quality of the mid-sized APC/APS and 4/3 sensor cameras like the Canon Rebel XSi or Olympus E-620. The improved technology of the Canon 5D Mk II (sensor and image processing) has better image quality (but not by a lot) over the older and lower pixel density 5D. And at 21 vs. 12.7 mega pixel the Mk II has more resolution. But the 2.4 mp/cm2 Canon 5D Mk II does not have near the RAW headroom (dynamic range) of the 1.5 mp/cm2 Nikon D700. Larger sensors require larger lenses. Larger lenses are heavier, and significantly more expensive to make. In particular it is quite difficult to make an inexpensive, high quality full frame (35mm) lens for cameras like the Canon 5D. This is where the smaller, high quality midsized sensor lenses like the Olympus Zuiko μ4/3 format lenses really shine. For the Sony a6000 there are some incredible deals with Sigma’s Art Series prime lenses. So make sure you check out the availability of high quality lightweight lenses before committing to a particular camera line. Sometimes, the lenses are significantly more important for weight and image quality than the camera body. And it is likely that you will own and use the lenses far longer than a given camera body. HI Alan, and all. I wanted to share an experience I’ve had with the Peak Designs capture pro and base plate. I’ve purchased this set-up and have been using it for just over a year. I have the Olympus OM-D EM-5 (older version) and it has performed well for its stated purpose. Recently, I noticed that the plate was not secure to the base of the camera. I took it apart and everything looked fine, so I re-assembled it and tightened it again. But the plate was still slightly loose on the base of the camera. I tightened it just a touch more and it was still loose. Disassembling everything and looking at it one more time, I found that the bottom of the camera had began to “pucker” at the tri-pod seat (threaded insert). I believe that what has happened is that the weight of the camera, when attached to the Capture Pro, as it goes thru the wear & tear of bouncing up and down when I walk (or fall, or whatever) is putting a lot of stress on the tri-pod seat and has caused it to deform and crack, it was pulling away from the camera body under the bottom plate of the camera. If the camera did not have the bottom plate, I suspect the camera and tri-pod seat would have just snapped right off at some point. Finding parts for my camera has proven to be difficult as Olympus doesn’t service this model anymore, but I think I may have finally found a source for the replacement part. I assume once I repair it, everything will work fine again, but I am going to be much more cautious regarding how this whole set-up works. Hi Chris, I have seen this pucker on the bottom of cameras that have a plastic bottom with a metal 1/4-20 insert for a tripod. Ana, the GR II is a super nice camera for its size and weight. Just a little under 9 oz. for some great photo quality. And the (28mm equiv.) lens is nice and sharp corner to corner which the Sony a6000 kit lens is not. Like the a6000 the GR II uses an APS-C sensor altho it is 16 MP vs. the Sony’s 24 MP. And while not showstopper, the GR line has seen few significant upgrades/changes since the GR in 2013 (the II brought only minor improvements, the most significant was the addition of WiFi). For me the biggest downside of the GR II is the lack of zoom. While I would agree that 28mm equiv. is near the sweet spot of where I shoot most of my landscape photos (like over 50% in this range), I think it might find it a bit limiting on a multi-month 2600 mile hike that I wanted a variety of good photos. But that would be your call. 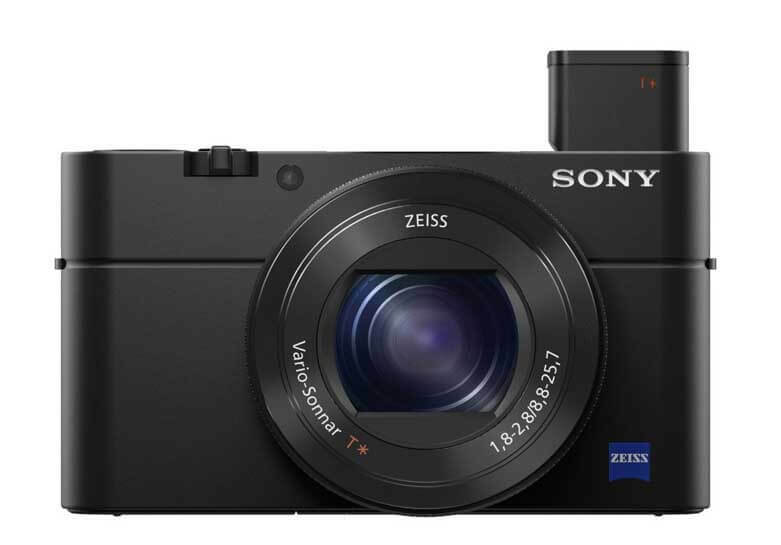 If you want high image quality with zoom in this weight and price range you are likely looking at the Sony RX100 as an alternative. Thanks Alan! appreciate your advice! Forgetting cost for now, what camera, weighing less than two pounds, can capture the highest quality image? This is great info, Alan. Thanks so much for sharing. Curious if the $199 Sigma lens you recommended (or the standard lens included) would work well for nighttime/star shoots as well? Or should I consider something different? Spending some time hiking through AZ and UT next month and can’t imagine not shooting the night sky. For great a great astro photography lens that won’t break the bank this is what you want a Rokinon 12mm F2.0 NCS CS Ultra Wide Angle Lens Sony E. Then do read a primer on astro photography. BTW the Rokinon lens will make a killer wide angle (18mm eqiv.) for your regular work as well–altho it requires manual focus–but not really that big a deal at that focal length since most everything is in focus. Zoom aid for manual focus on the a6000 is excellent. I think the 19mm Sigma (29mm equiv.) is probably not quite wide enough to do the night sky justice. The current $199 Sigma lens is OK. Image quality is decent, but not stellar. Sigma re-issued the lens and it is not quite as sharp as the old one, which makes it a less compelling purchase. So I’m in the market for an outdoor/adventure camera since I do a lot of hiking, backpacking, and climbing. My goal is to take pictures that I can print or have put on canvas for “art” pieces around my house. I know you mentioned being able to print 16×20 with the a6000. Is this the largest you have been able to go? I was also curious if you had any thoughts on the a6300 or a6500. From what I can tell the a6300 is weather sealed and the a6500 incorporates image stabilizer. In your opinion do any of these feature justify the increase in cost from the a6000? Would either of these later cameras allow for better prints? OK Dan. Good Question, but complex and difficult to answer. First there is no agreed upon criteria of what measure of a digital image is appropriate for a certain print size. There are too many factors and personal takes here. To start to determine your personal taste I would suggest using perceptual megapixels as a tool of measuring image sharpness, and therefore enlargeability. Take a look at perceptual megapixels and sharpness [link] in my 5 Most Important Features for a Backpacking Camera. Once you have decided what your desired pMP value is for a given print size, then it’s easy to find a camera/lens combo that can meet that pMP spec*. Finally, I would not take the weather/environmental resistance of the Sony cameras too seriously. My non environmentally sealed a6000 still works fine after over two years of use on my shoulder strap in all types of environmental conditions, but… I don’t really believe that it or any Sony Camera is up to serious dust or rain (and if things get really bad I wrap something around it). And I wouldn’t count on the a6300 or a6500 being significantly more resistant to dust/rain vs the a6000. The greatest argument for a more expensive camera would be the image stabilization for the Sony a6500–that combined with the Sigma 30mm f/1.4 would make an awesome handheld setup, as would the more expensive Sony Carl Zeiss Sonnar T* E 24mm F1.8 ZA lens. But again, with the caveat that if you are going for big prints, the stabilization may not be good enough handheld to achieve the sharpest shots. You may end up again, needing a tripod for the sharpest images for large prints. The Sony a6x00 series is capable of 16 perceptual megapixels (pMP), which is about as good as it gets for 24 MP crop sensor cameras. But there are caveats. The camera body and lenses are not environmentally sealed against rain/dust. Thanks Alan! This is fantastic information! I’ve heard that the kit lens for the a6000 is not great for landscapes and that you need an additional lens,(like the Sigma 19mm f2.8 DN you mentioned). Since landscape photography is the bread and butter of shooting while backpacking, does it make sense to get the a6000 just with the kit lens? I don’t know if I want to be hassling with changing lenses on the trail. Or is the kit lens usable to keep on all the time (as a general purpose lens) including shooting landscapes? You are correct the kit lens is a compromise on price, weight, and compactness. But sharpness in the corners and below 20mm is not its strong suit. 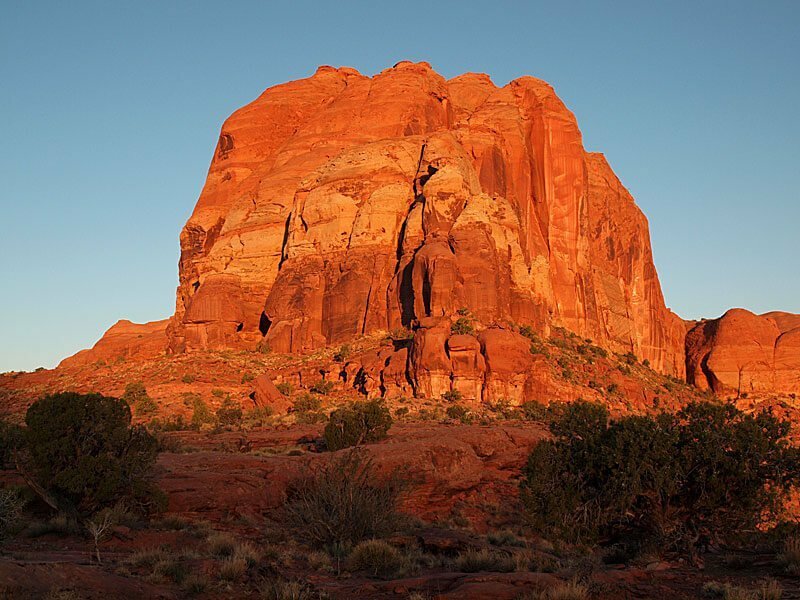 If you want the maximum resolution for landscapes there are three potential lenses you want. Here they are in order of resolution in pMP (perceptual megapixels, which the combination of lens and sensor for the a6000). 1) The Sigma 30mm F1.4 DC DN C at 16 pMP. 2) Sony E 35mm f/1.8 at 11 pMP (but! image stabilized). And 3) Sigma 19mm F2.8 EX DN Sony E at 10 pMP. And to get the sharpest images with these lenses you’ll likely need a tripod with possible exception of the Sony 35mm OS lens in decent light. Thanks Alan for your reply. I am looking for a camera to support me in my traveles and hiking adventures. So having an environmentally sealed camera would be relieving. I would not use tripod most likely, and would be taking landscape and portraits. The limiting factor is my budget. Max 1500$. Thats why the Oly OMD5 II with pro lense would not be possible for me to buy (although the look and the feel of this camera is really appealing for me). So i have to seek an alternative lens that still gives me the image quality thats inspiring. SO i guess the dilemma is : Go with Oly and best budget lens(not sure which one), Or go with sony a6000 with a good lens in hope of changing the body later to more rugged option. Sorry for commenting again and thank you. OK, you could go with the EM-5 II and use the kit Olympus M.ZUIKO DIGITAL ED 14-42mm f3.5-5.6 lens. At 6 pMP it’s not bad. And then you can get the dust-moisture resistant zooms when you free up some more money. Also, you might try looking for deals on the Olympus. A friend of mine got the EM-5 II and 12-40 PRO lens for $600 off on a Black Friday Special, 300 off the lens and 300 off the camera. Right now the the EM-5 II and 12-40 PRO lens is on Amazon for $1,600. Only $100 more than your budget. And just to confuse things a bit: The a6500 body is both dust-moisture resistant and has in-body image stabilization. Unfortunately at time of writing there are almost no dust-moisture resistant lenses for it. But at least your camera body is reasonably protected if not the lenses. I have not really had problems with shooting in light rain as long as I protect the camera between shots. I really can’t decide between sonya6000 and Oly OM D EM5 II . Could you please give me some tips to focus on to help me make my mind? Thanks Alan. The Sony best if you want the absolute highest resolution images with the greatest dynamic range and color depth. The Sony is capable of 16 perceptual megapixels (pMP), which is about as good as it gets for 24 MP crop sensor cameras. The Sony is also the better camera for serious video. But there are caveats. The Olympus is best if you need and environmentally sealed camera and lens combo (OM-D EM-5 II and 12-40mm F2.8 PRO). This Olympus body/lens combo has about the same 9 pMP as the Sony with the 18-105mm F4 G OSS. The Olympus has has a nicer viewfinder, better controls and a useful tilt touchscreen display. It also has in body stabilization allowing you to use any lens stabilized greatly increasing your range of handheld shot opportunities. Also there are a huge number of u4/3 lenses than E mount lenses for the Sony. But there are caveats. The very best u4/3 lenses limit out at around 11 pMP vs. 13 to 16 pMP for the Sony. The smaller u4/3 sensor limits image quality vs. the larger APS-C sensor of the Sony. High ISO performance ⅓ stop less, 5% less color depth, and 8% less dynamic range vs. the Sony. Great info…most I already knew but you put this together nicely. I love Sony cameras and will look into the a6000…thanks. If I were picking between a Sony Rx100 III or a Sony a6000 for a backpacking and publication which sould I choose? I’m looking at used cameras so the older models are more likely though occasionally I’ve seen the IV and the a6300.